It started with a business class at Georgia State University. The assignment was to raise money for a non-profit. The lesson was about teamwork, planning, and results. 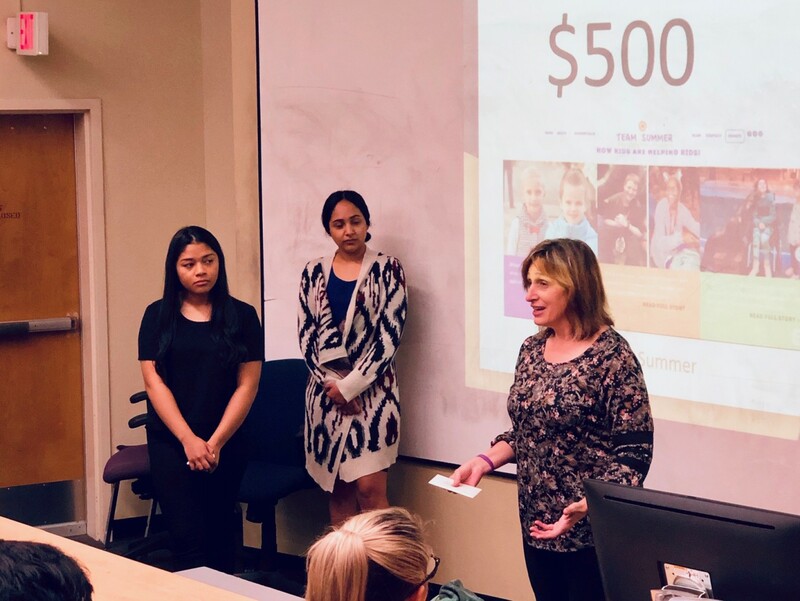 Fortunately for Team Summer, Raquel Del Carmen was on one of the teams and recommended Team Summer as the charity for their group. 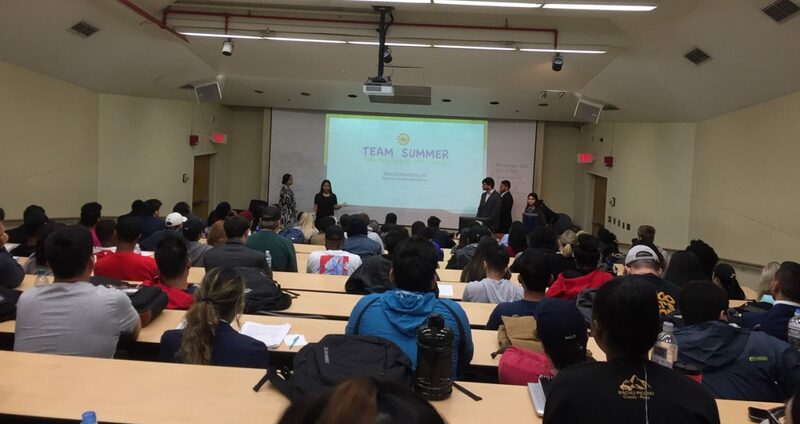 We are happy to tell you that through bake sales and raffles, the group raised $600 for Team Summer – almost twice as much at the other groups! You may notice that the slide below says $500. That’s because at the last minute, a man asked the group what they were raising money for. When they told him about Team Summer’s mission, he pulled out his wallet and gave them $100. There was no time to change the slide before their class presentation. Whoever you are, THANK YOU! And thanks so much to Raquel and all her teammates. Way to go!